Hi Ellie and happy Saturday. Robins are one of our favorites as well. Wishing you a wonderful weekend. Thanks Eliza, and nice to have these guys visiting again before winter sets in and things become just a bit quieter. Hi and thanks. It is a treat to get that oh so short period of time where light filters through a golden forest full of autumn leaves. Wishing you a great weekend. 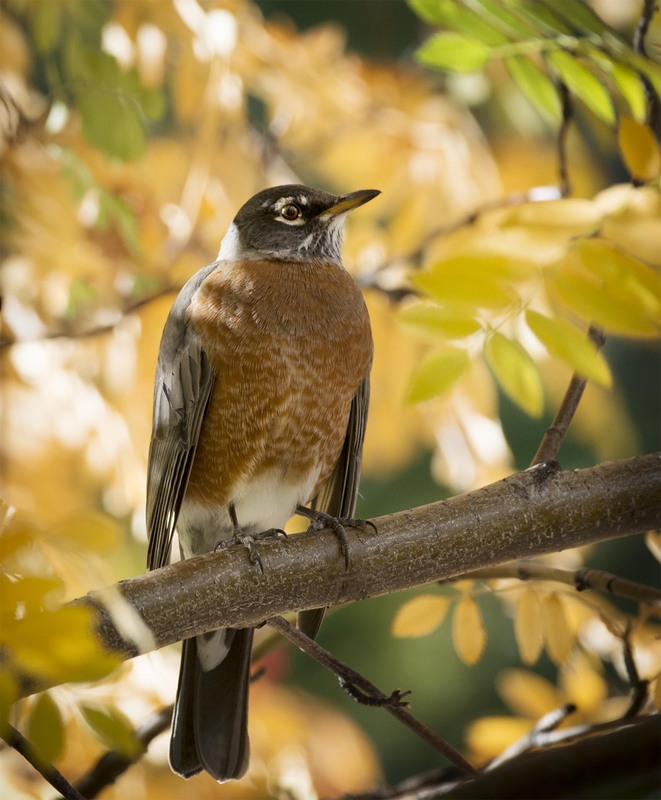 Thanks, it is always nice to have the Robins around in the fall even if is just for a short while. Hope your day is going well and winning you a fine weekend.